What does hot weather mean for your tires? Even if you’re not planning to drive your car on the beach this summer, hot weather presents a few unique challenges to tire quality and safety. You should check your tires regularly for wear and tear, but if you’re planning any driving vacations or weekend trips away, it’s imperative to inspect your tires before you leave. Finding any potential problems before you head out will increase your safety and could save you a lot of money in the long run. For tips on how to quickly inspect your tires, click here. Check your tire tread. Worn tread can cause a myriad of problems from unexpected blowouts to hydroplaning to your brakes not functioning properly. Click here to learn how to check your tire tread levels. If your tire tread levels are low, do not worry, Champtires can get you the tread levels you need in the brand name you trust – all at a very low cost. Also check your tires’ sidewalls for any imperfections or bulges. Find the recommended tire pressure for your vehicle in your owner’s manual. Check the pressure often, preferably when the tires are cold. And, don’t forget to check your spare tire! Note that the tire pressure listed on your sidewalls is the maximum pressure and is not intended to serve as notification of the correct pressure. Do not overload your car or truck. Your vehicle and tires are designed to only operate safely up to their hauling limits. Carrying too much weight creates excessive heat inside your tires, which can lead to tire failure and an accident. If your tires are not inflating properly, are worn or have low tread level, do not let the high cost of new tires scare you from fixing the problem. Champtires can help you get affordable, quality used tires with good treads – in any brand name or quantity that you need. Find out why buying used tires is a great option. In the Pittsburgh area? Shop in person at our Pittsburgh location on Washington Blvd or in West Mifflin. We offer installation options as well. If you’re outside of Pittsburgh, visit Champtires.com for the lowest prices on used tires on the Internet – plus we offer free shipping! Questions? 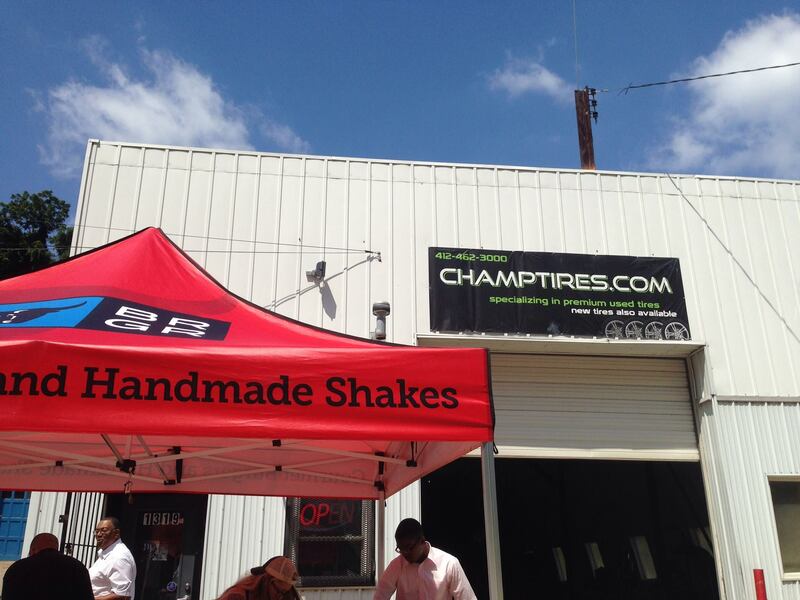 Call 412-462-3000 or email support@champtires.com. Thanks for a great grand opening! Thanks to everyone who came to the Washington Blvd grand opening celebration on Saturday. It was great to see so many longtime Champtires’ friends and meet new ones. We’re also so glad that BRGR could join us for the event. It’s not easy grilling up gourmet burgers on the hottest day of the summer! A big congratulations to Crystal Schaub, who won the $100 gift card to Champtires. You can find more photos from the event here. 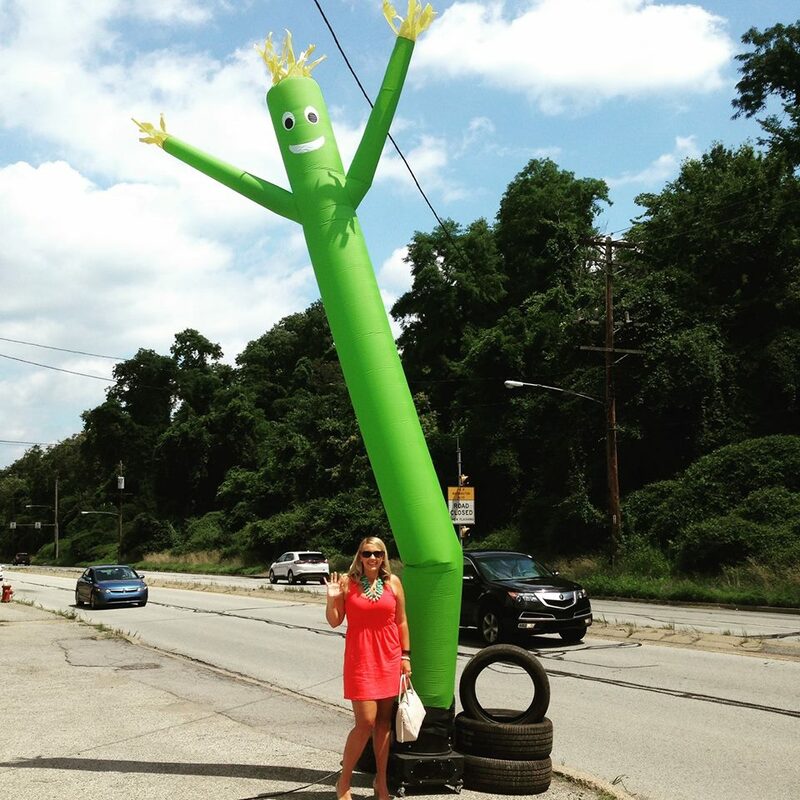 Stop by and see us in either our Pittsburgh or West Mifflin store soon for all of your tire needs. Or, if you’re not in Pittsburgh, shop online 24/7 – we offer free shipping! 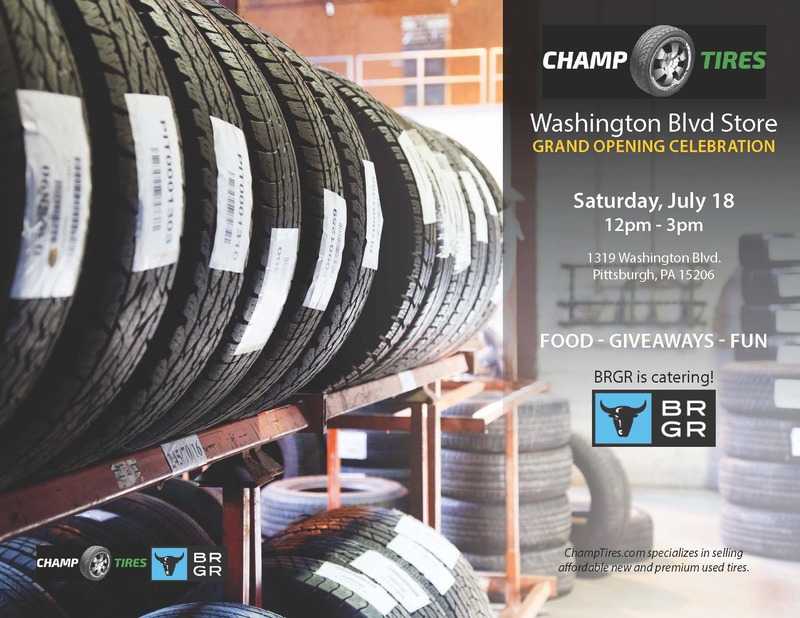 Champtires.com, which specializes in selling premium used and affordable new tires, has opened a second Pittsburgh location. The new retail and tire installation center is located at 1319 Washington Blvd, Pittsburgh, PA 15206. Since 2009, Champtires.com has been based in West Mifflin, PA – first operating only as an e-commerce solution for drivers across the U.S. by providing low cost, high quality used tires. Two years later, it added retail and installation options for Pittsburgh-area customers. The West Mifflin location will remain the company’s headquarters. Roughly 40 percent of Champtires.com’s business comes from local sales, and while Rea sees an opportunity for that to increase, the company also remains focused on selling tires online. “New tires can be extremely expensive, and we have found that consumers want to save money where they can. Our prices – especially for our used tires – can’t be beat,” Rea said. Drivers who need to replace one, two, three or a whole set of tires can save up to 80 percent off of the cost of new tires by choosing used tires. Champtires.com has approximately 10,000 used tires in its inventory at any time, allowing the company to match brand names and tread levels to drivers’ existing tires. Alluding to efforts to curb the selling of unsafe used tires, Rea pointed out that not all used tires dealers are created equally. Opening the Washington Blvd. location has already created three full-time jobs: one manager-level and two customer service positions. Champtires.com will hold a grand opening celebration at the Washington Blvd. location on Saturday, July 18 from noon – 3 p.m. Learn more. For more information about Champtires.com, visit http://www.champtires.com/. The doors at our new store have opened, so stop by 1319 Washington Blvd. Pittsburgh, PA 15206 for affordable new and premium used tires. On Saturday, July 18, we’re throwing a party to celebrate. Details are in the below poster, designed by the super talented Jesse Wilson. Hope to see you there!